Endocytic receptor involved in endocytosis and in phagocytosis of apoptotic cells. Required for early embryonic development. Involved in cellular lipid homeostasis. 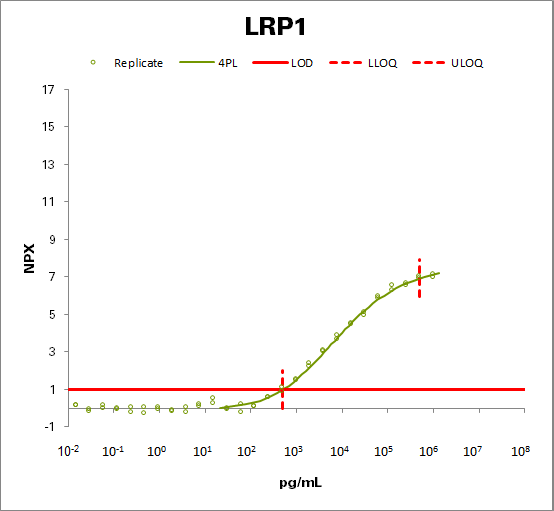 Involved in the plasma clearance of chylomicron remnants and activated LRPAP1 (alpha 2-macroglobulin), as well as the local metabolism of complexes between plasminogen activators and their endogenous inhibitors. May modulate cellular events, such as APP metabolism, kinase-dependent intracellular signaling, neuronal calcium signaling as well as neurotransmission. Functions as a receptor for Pseudomonas aeruginosa exotoxin A.